But Ken will not be alone for long. On the way he meets several characters from the world of fairy tales, and he learns that one should not believe in everything one reads. First he tries to save a princess, sitting alone in a castle surrounded by thorns. He realizes it is Sleeping Beauty, but it turns out that the princess does not want to be saved at all. She has actually let the prickly bushes grow up, to shut out intruders, after a prince once came and kissed her when she was sleeping. The fairy tales have taught Ken to be afraid of witches, but when a witch saves his life, he has to take a different stand. Especially when he learns that she is homeless because Hans and Greta have eaten her house. Ken makes many friends along the way, and they follow him on the way to the centaur’s secret kingdom, just below the Polar Star. 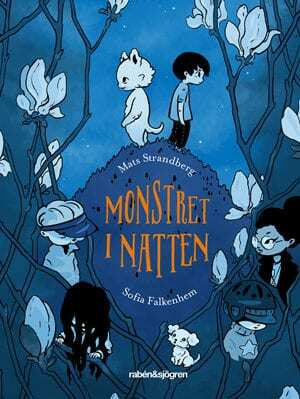 They find out that Little Red Riding Hood has made a fortune by spreading lies about her grandmother and the wolf. 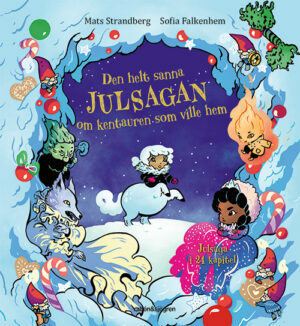 The Totally True Story About the Centaur Who Wanted to Come Home for Christmas is published in Rabén & Sjögren’s series Advent Calendar books. 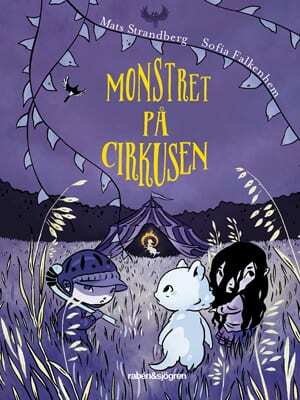 Each year in October a calendar book is published and Mats Strandberg and Sofia Falkenhem has created a story for the whole family. With 24 chapters, one a day, the wait for Christmas will be a little bit more bearable for young and old Christmas lovers. The book about Ken Taur is an exciting, thought-provoking and evocative story about friendship, homesickness and how difficult it can be to distinguish stories from truth. 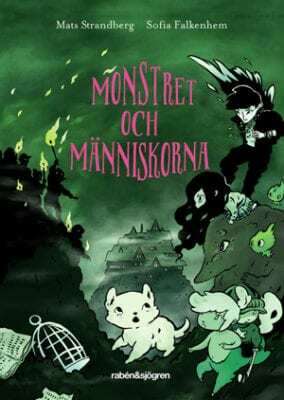 And just like in the Frank the Monster Trilogy, Sofia Falkenhem has made the characters come alive with beautiful illustrations.